After Manchester City’s shock defeat at Newcastle the night before, Jurgen Klopp and Liverpool had the chance to extend their lead at the top of the Premier League to seven points. On a snowy night at Anfield, however, the Reds could only manage a draw against a Leicester side making a habit of frustrating the top teams. Much like City 24 hours earlier, it all started so well for Liverpool when Sadio Mane cut inside and curled a finish past Kasper Schmeichel in the third minute. The Reds lacked their usual cutting edge against a well-organised defence, however, and were made to pay when Harry Maguire pounced to equalise in first-half stoppage time. The hosts huffed and puffed in front of the Kop in a frustrating second half, and could have had a penalty when Ricardo Pereira looked to have clipped Naby Keita – but the Liverpool claims were turned down and in the end they didn’t do enough to earn the three points. 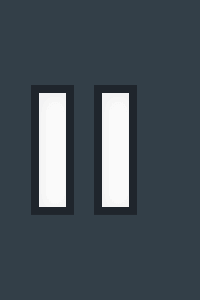 With 14 games to go, their lead over City is now five points. 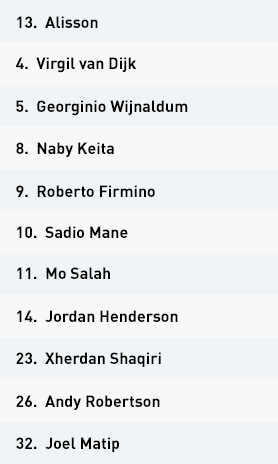 Liverpool set up in their now favoured 4-2-3-1 attacking structure, with captain Jordan Henderson filling in at right-back and Roberto Firmino sporadically dropping in between Liverpool’s double pivot of Naby Keita and Georginio Wijnaldum. 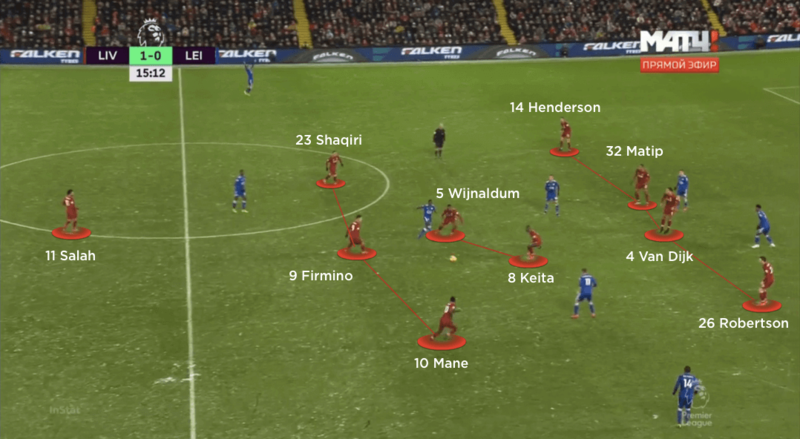 Leicester’s central midfielders were often drawn out of their compact structure, which created gaps between the lines for Mo Salah to receive centrally, or one of Sadio Mane or Xherdan Shaqiri to step inside and receive on the move. After Mane’s early strike had given the hosts the lead, Leicester adjusted better to these rotations. With Jamie Vardy and Marc Albrighton covering Liverpool’s double pivot – and eventually access into Firmino – centre-back Joel Matip stepped out to help progress the ball into midfield. 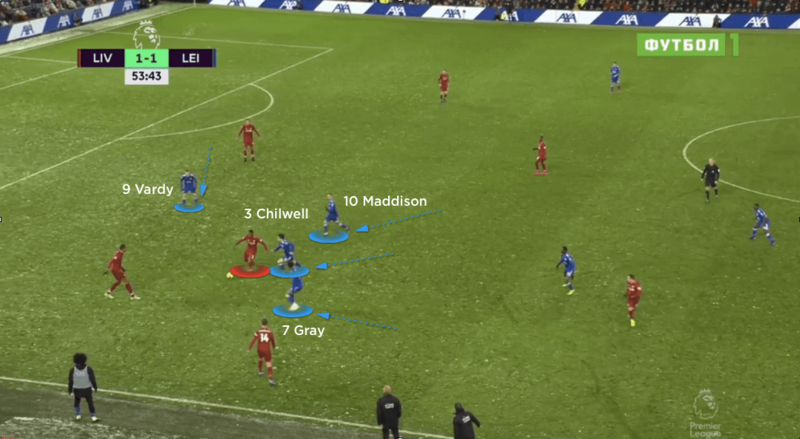 As Leicester narrowed, however, Henderson became the free player, and diagonal balls in behind for the makeshift right-back became the hosts’ best method of penetration. First-time crosses from the captain worked the ball across goal more than once, but Liverpool lacked their usual dynamism inside the penalty area and failed to make the most of Henderson’s deliveries. The Reds’ play within the final third was strangely lethargic throughout.  Leicester’s impressive central compactness around the ball made life difficult, but the hosts definitely lacked a cutting edge in those important attacking areas. Jurgen Klopp eventually turned to substitutes Adam Lallana, Fabinho and later Daniel Sturridge; these changes enabled Liverpool to attack with more forward players in advanced positions, as they shifted to an eventual 4-3-3 shape. Full-backs Henderson and Andy Robertson moved as high as possible, as Liverpool finished the game with a central attacking trio supported by late runs from midfield. From here, they attempted six shots in the final 20 minutes – but none were strong enough to beat Kasper Schmeichel in the Leicester goal. 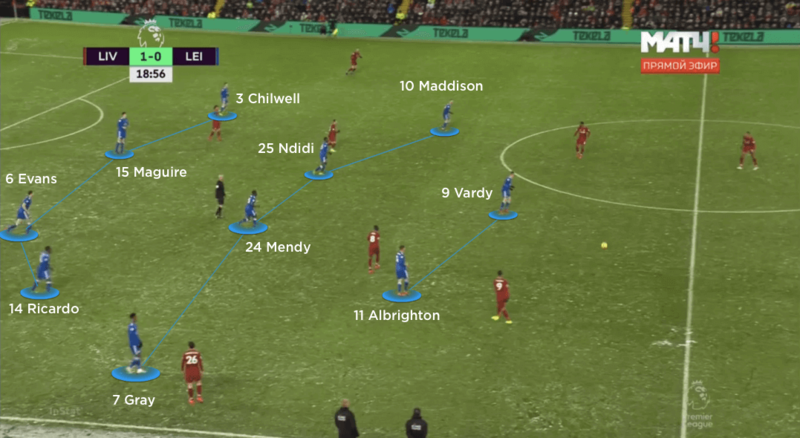 Out of possession, Liverpool continued in their 4-2-3-1 structure and used a mid-block strategy to nullify any threat Leicester posed in behind – particularly through the likes of James Maddison and Jamie Vardy. 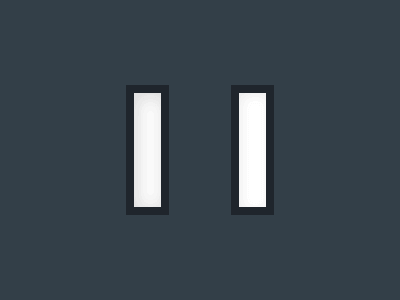 As the defence deepened it also narrowed, with a clear focus on protecting the central lane. This naturally left spaces in wide areas, with the away side finding most of their albeit rare attacking joy in these spaces. Just before half-time, Robertson conceded a needless foul, allowing the visitors to send their powerful defenders forward. Harry Maguire grabbed the equaliser after being the first to react in the second phase, and the England centre-back could have had an unlikely second after the break as Liverpool struggled to deal with Leicester’s deep deliveries. As the hosts took control of possession once more, Vardy offered some threat on the transition – but the visitors were less of an attacking force as they secured an impressive point and left Liverpool frustrated at not being able to extend their lead at the top to a healthy seven points. Liverpool attacked in a 4-2-3-1 shape, with Roberto Firmino dropping very deep as the central number 10. 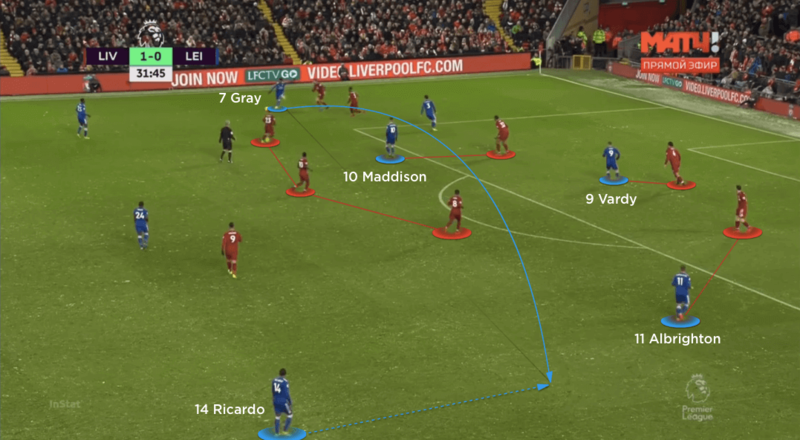 This increased the gaps between Leicester’s lines, helping Liverpool’s front players receive in enhanced spaces. 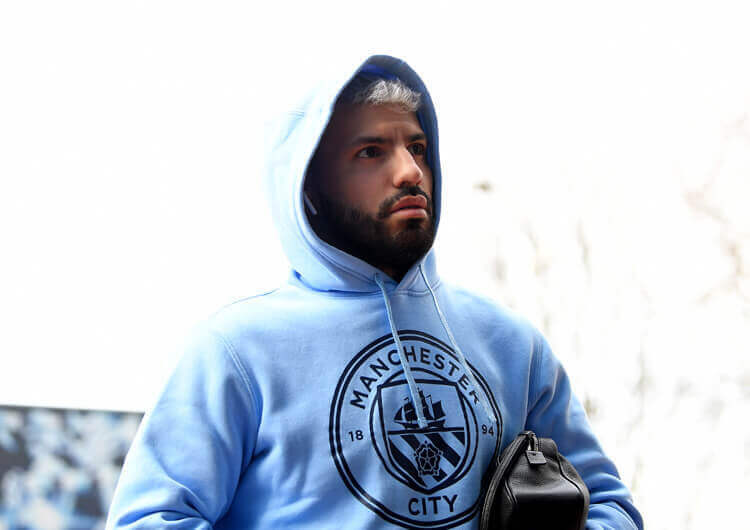 Without the ball, the hosts continued in their 4-2-3-1 structure and opted for a mid-block, reducing the spaces for Jamie Vardy and his pacy attacking teammates to run into. Full-backs Jordan Henderson and Andy Robertson moved higher and higher as Leicester narrowed, but Liverpool struggled to penetrate through or around the visitors’ block. The Leicester full-backs were the visitors’ chief source of attack, as the Liverpool midfield failed to cover switches of play. With wingers Demarai Gray and Marc Albrighton moving higher, Ricardo Pereira and Ben Chilwell had time to deliver crosses into the area. 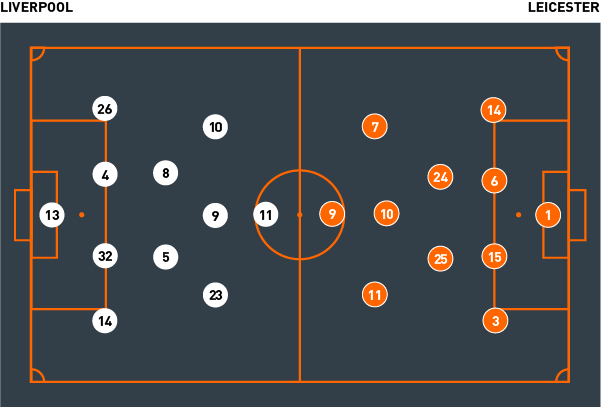 The visitors dropped into a mid-block 4-4-2 for the most part, but as Liverpool cranked up the pressure they would concede into a lower block, prioritising central numbers to protect the goal. Leicester showed a lot more desire to press and regain the ball higher in the second period. With Vardy’s direct running in behind, they were able to create more opportunities during moments of transition. Leicester City set up in a similar 4-2-3-1 formation to Liverpool, with Nampalys Mendy and Wilfred Ndidi sitting deep in midfield and James Maddison playing in the number 10 role behind Jamie Vardy. They took a while to settle in possession, but with Liverpool often narrowing in their block the visitors found space out wide for both full-backs – Ben Chilwell and Ricardo Pereira – to attack. Maddison, Vardy and Marc Albrighton, who started wide on the left but eventually switched with Demarai Gray, often formed an asymmetrical front three. The latter tried to find space away from the Liverpool defensive line, and it was from a moment such as this that he crossed for Maddison to somehow head wide when it would have been easier to score. Down the left, Chilwell often had huge spaces to attack against Henderson, but Leicester rarely worked the ball out to the young full-back in the first half. Gray provided more attacking width when positioned on the right, which then allowed Ricardo to move inside both with and without the ball. 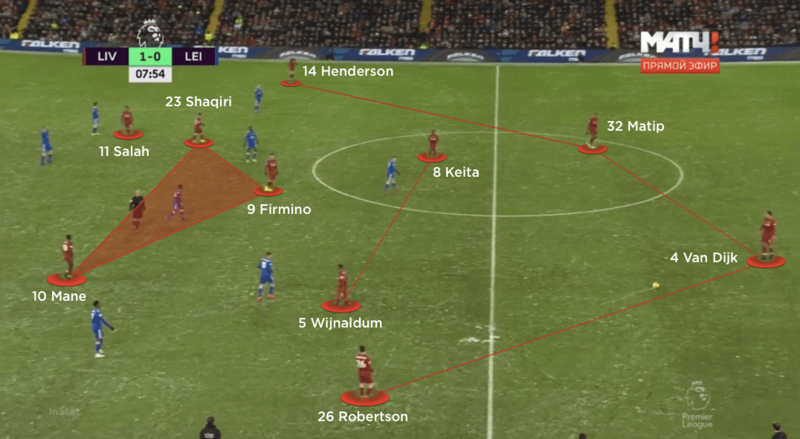 With Liverpool committing to the ball as Leicester built in wide areas, the hosts’ attacking midfield unit couldn’t cover the entire width of the pitch. This opened up switches of play for the visitors, whose wingers then stepped forward on to the Liverpool full-backs. This opened up crossing moments for both Chilwell and Pereira, but they struggled to find their smaller attackers against Joel Matip and Virgil van Dijk. 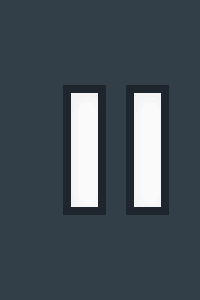 Only when they sent their more imposing defenders forward at set-pieces did Leicester cause Liverpool problems – and it was from one of these that Harry Maguire equalised Sadio Mane’s early goal on the stroke of half-time. Maguire was again first to an inswinging free-kick early in the second half, with Alisson scrambling the ball off the line during the second phase. Leicester gradually reduced back into a lower defensive block, as moved Liverpool forward in search of a late winner. With more spaces in behind, Vardy’s direct running became a key asset. Targeting the space in behind Henderson proved effective, as the striker could then connect with Chilwell to provide crosses for midfield runners. Out of possession, the visitors set up in a 4-4-1-1 defensive mid-block, but they initially found it difficult to block off access within the central lane – first against the movements of Roberto Firmino, and then the forward progression of Matip from defence. They soon narrowed and squeezed on to the ball, which opened up spaces for Liverpool in the wide areas. Jordan Henderson’s delayed forward running from right-back became a problem, as Xherdan Shaqiri’s inside positioning narrowed Leicester’s left side further. 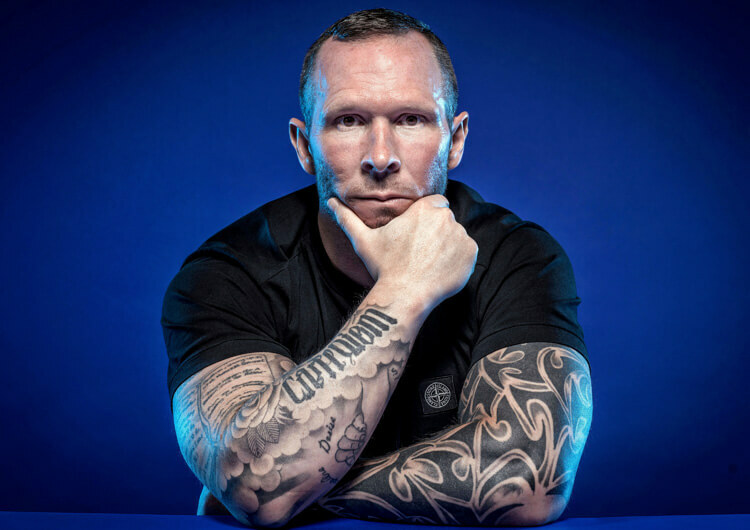 With Andy Robertson already ahead of the ball as an extremely proactive full-back on the left, the visitors could press and screen passes across to the Scotsman. 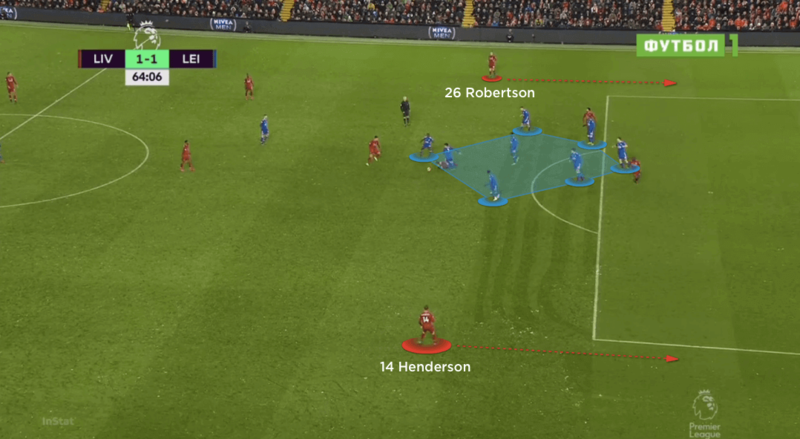 However, with Henderson delaying his run – and moving in behind, rather than Robertson receiving to feet – Leicester struggled to block off Liverpool’s access in behind. The central defenders frequently put their body on the line to deny any opportunities from subsequent crosses, however. An increase of pressing intensity from Leicester’s highest players in the second half helped limit Liverpool’s forward play. This did open up more spaces within midfield, but the hosts lacked their usual mix of composure and pace in the final third – this allowed the visitors to consistently recover back into their compact block and hold out for a great point relatively easily.